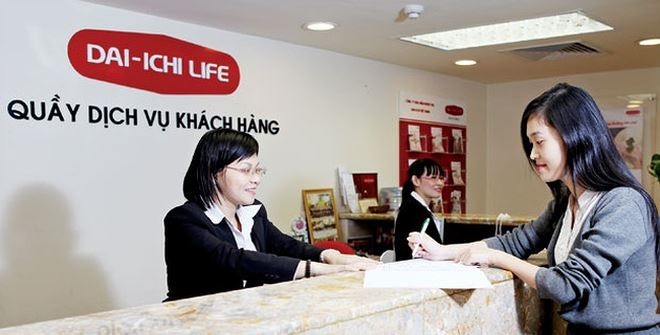 HCM CITY — Dai-ichi Life Vietnam Fund Management Company Limited (DFVN), the wholly-owned subsidiary of Dai-ichi Life Insurance Company of Vietnam, launched its DFVN Capital Appreciation Fund (DFVN-CAF) with charter capital of VNĐ75.121 billion (US$3.29 million) on Friday. DFVN-CAF is the first open-ended fund (OEF) established and managed by DFVN, which currently manages life insurance funds for Dai-ichi Life Insurance Company of Vietnam with total assets under management of over VNĐ17 trillion as of November 2018. DFVN-CAF will invest mainly in a diversified portfolio of listed equities in Việt Nam with high growth potential and solid corporate governance. The fund aims to outperform the benchmark VN-Index. “As of November 30 last year, there were 24 open-ended funds in Việt Nam with total assets under management of nearly VNĐ13.39 trillion and around 30,000 transaction accounts. These figures seem quite modest in comparison with our population and economic growth scale as well to other regional countries,” said Trần Châu Danh, CEO and CIO. “DFVN will continue its best efforts in marketing, communications and customer approach to raise market awareness and provide investors’ knowledge in order to gradually change their understanding and behaviour towards investing in open-ended funds. We expect more and more people in Việt Nam to invest in our DFVN OEFs in the years to come,” added Danh. DFVN has selected HSBC Bank Vietnam Limited as the custodian and supervisory bank, as well as the provider of fund administration and transfer agency services for DFVN-CAF. DFVN has appointed BIDV Securities JSC and Viet Dragon Securities JSC as its distribution partners.